DICE and EA have released a new trailer for the final piece of Star Wars Battlefront‘s DLC, Rogue One: Scarif. Featuring the new tropical planet from the upcoming Rogue One: A Star Wars Story, you can check it out in the player below! 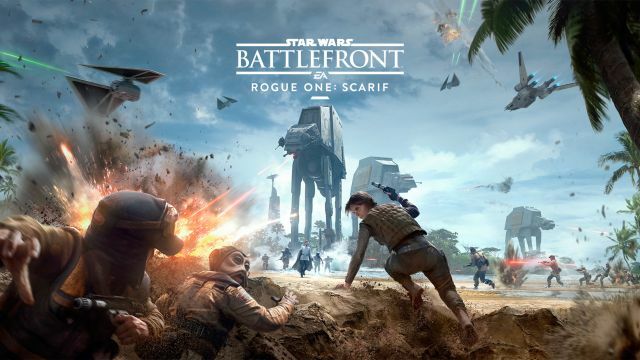 Set to arrive on December 6 for all season pass holders, Rogue One: Scarif will include four new maps and two new playable heroes: Jyn Erso and Orson Krennic, as well as a new multi-stage game mode with space and ground combat. Also arriving on December 6 is the Star Wars Battlefront Rogue One: X-Wing VR Mission for PlayStation VR, a free addition to players with a copy of Battlefront plus PlayStation VR. Star Wars Battlefront allows fans to live out a wide range of heroic moments and intense battle fantasies of their own – firing blasters, riding speeder bikes and snow speeders, commanding AT-ATs and piloting TIE fighters and the Millennium Falcon. These battles take place on some of the most iconic planets in the Star Wars universe, including Endor, Hoth, Tatooine and the previously-unexplored planet, Sullust. 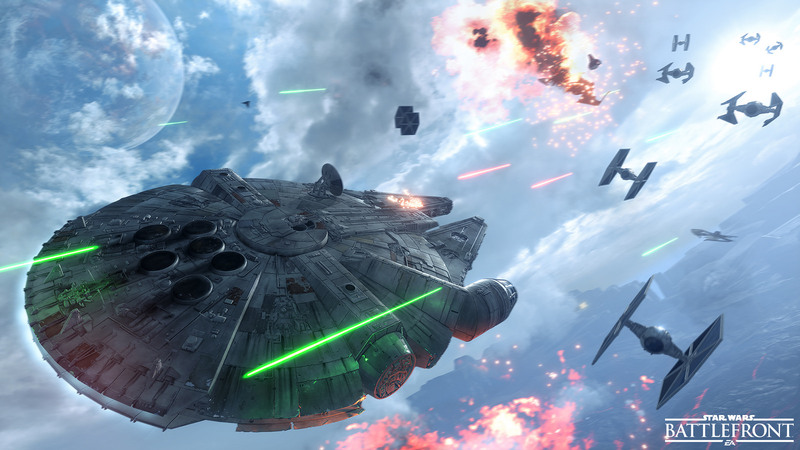 Gamers can play as some of the most memorable characters in the original trilogy such as Darth Vader and Boba Fett. Star Wars Battlefront features a wide range of modes tailored for different types of battles, from larger 40-person competitive multiplayer to crafted missions that are played solo, with a friend via split-screen offline or co-operatively online. You can purchase the Star Wars Battlefront: Ultimate Edition, including the Death Star, Bespin, and Outer Rim expansion packs by clicking here for PlayStation 4 or Xbox One.